Lanka Kade's beautifully handcrafted fair trade wooden zoo building blocks. Made of natural rubber wood. Lanka Kade's beautifully handcrafted wooden zoo building blocks are the perfect educational toy for children that love a trip to the zoo! 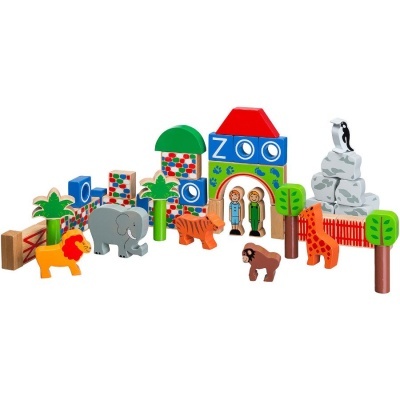 This fair trade zoo building block set contains popular animals such as a lion, giraffe, elephant and penguin. Children can learn to construct their own zoo and manage the animals with a large variety of coloured building blocks.